Big Data & Society: Dave Beer introduces his new article "How should we do the history of Big Data?" Dave Beer introduces his new article "How should we do the history of Big Data?" 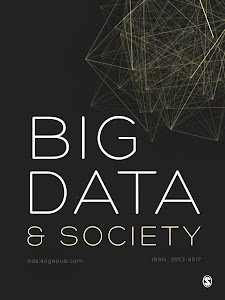 In this video abstract, Dave Beer, Reader in Sociology at the University of York, introduces his new article in Big Data & Society "How should we do the history of Big Data?